Vince Wilfork, the former football tackle, walks the Vince Lombardi trophy down the field, letting Patriots players touch and kiss the legendary award. Vince Wilfork, the former football tackle, walks the Vince Lombardi trophy down the field, letting Patriots players touch and kiss the legendary award. 10:19 p.m. – Patriots wide receiver Julian Edelman wins the Super Bowl MVP award after a 10 reception, 141 yard performance that saw him outplay the Rams offense in the first half. 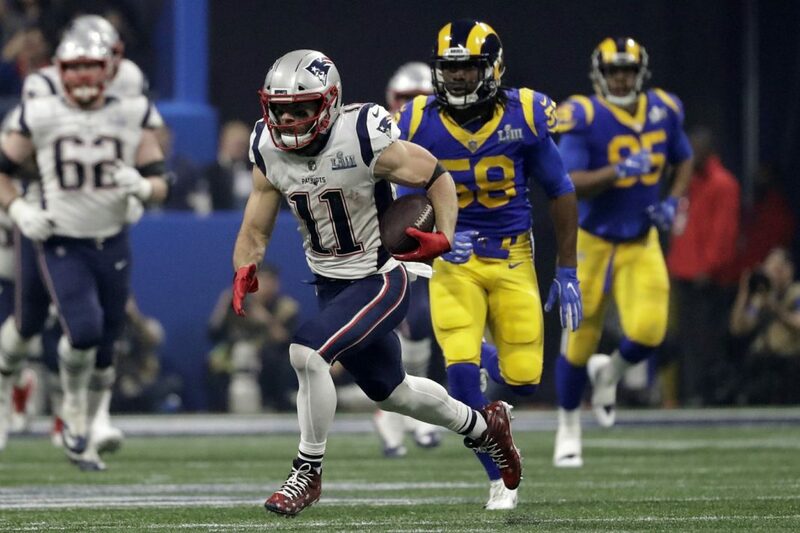 Edelman finished the game just 75 yards shy of beating the record for most Super Bowl receiving yards. The wide receiver missed the first four games of the 2018 season on a doping suspension. 10:08 p.m. – Super Bowl LIII was the lowest-scoring championship game ever at 13-3. The previous record holder was the 1971 Super Bowl that finished in a 14-7 win for the Miami Dolphins. 10:04 p.m. – The 17 year challenge: In 2002, the Patriots beat the then-St. Louis Rams in the Super Bowl for the first championship under Tom Brady and Bill Belichick. 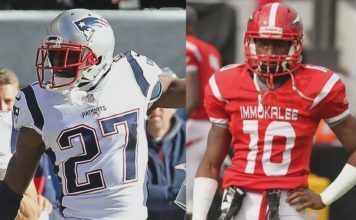 Now in 2019, the Patriots duo have secured their sixth championship, beating the Los Angeles Rams. New England is now in a tie with the Pittsburgh Steelers for the most titles all time.